TULSA, Okla. (March 29, 2019) – The Tulsa Zoo welcomed the newest baby Diana monkey, born on March 13, 2019. 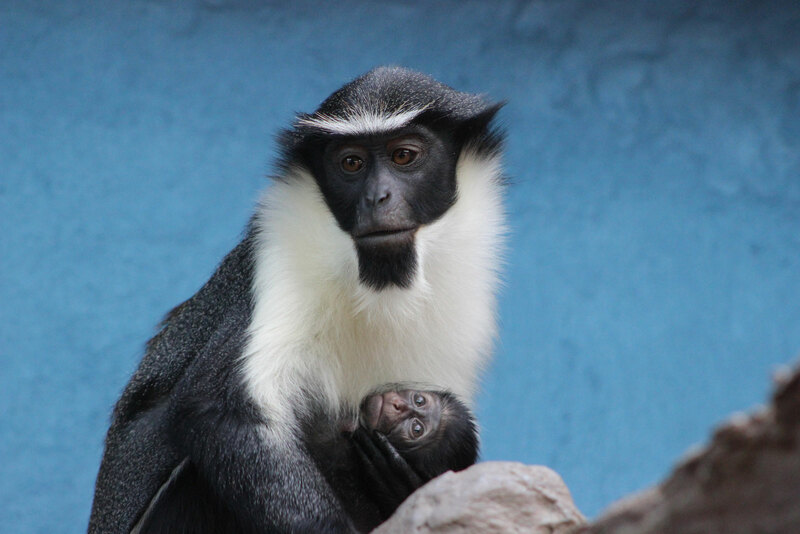 The yet-to-be named baby is the 33rd Diana monkey born at the Tulsa Zoo. Guests can view this little one with its family group in the Conservation Center. The new addition is an important ambassador for its species. According to the International Union for Conservation of Nature, Diana monkeys are considered Vulnerable as a result of habitat loss, hunting and civil unrest in their native ranges. The Tulsa Zoo supports West African Primate Conservation Action and the creation of a community-managed rainforest conservation area. Funding from the zoo is used to supply rainforest protection teams with software to monitor and track wildlife. In addition to ensuring the future of the species in Africa, the Tulsa Zoo is planning for the future of Diana monkeys here in Tulsa. Tulsa Zoo’s capital campaign, Building Beyond Your Wildest Dreams, is raising money to build a new mixed-species exhibit for Diana monkeys and pygmy hippos as part of African Wilds: Carnivores. For more information about this and other projects visit buildingbeyond.org. Diana monkeys are native to rainforests of western Africa, from Sierra Leone to Ghana. This tree-dwelling species eats a diet rich in fruits, flowers and insects. Often found in the upper levels of the forest, they will even sleep among the branches. Baby Diana monkeys are dependent upon their mother for the first six months, clinging tightly to mom’s chest while she moves. Diana monkeys are social animals, using facial expressions and calls to communicate.